YAY! This post is promoted by Target! Ever heard that growing up? I heard this proclamation constantly as a little girl but I never really understood what it meant. “Doesn’t everyone have a lot of hair on their heads?” I would think to myself. *shrug* I can count on both hands how many times I went to the salon to get my hair done growing up. Stepping into a salon every other week was not something I was accustomed to. 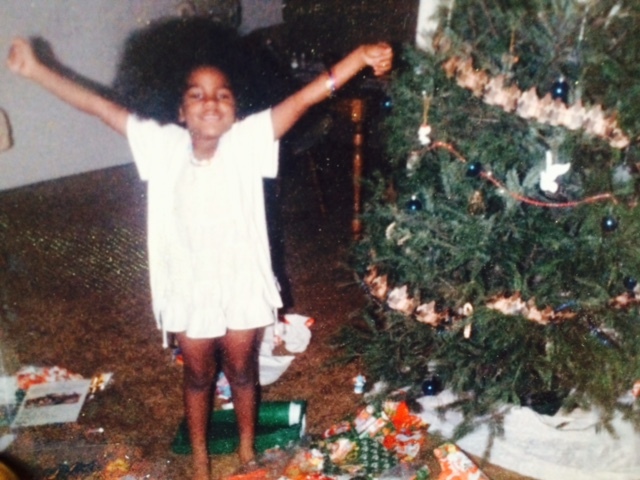 This was simply because most Saturday nights or Sunday mornings my Mommy would go to WERK! On my hair that is. Every weekend she would prepare my look for Sunday morning service at our church in San Diego, CA. I remember sitting on the floor as she sat on the couch, braiding, combing, twisting and sometimes straightening my hair. In my opinion I wasn’t “tender-headed” but you’ll have to ask her for the real story. My relationship with my hair was one I don’t remember being a major part of my life. The weekend ritual was just that….a ritual and I’d be up back to doing chores or frolicking around the neighborhood before I knew it! 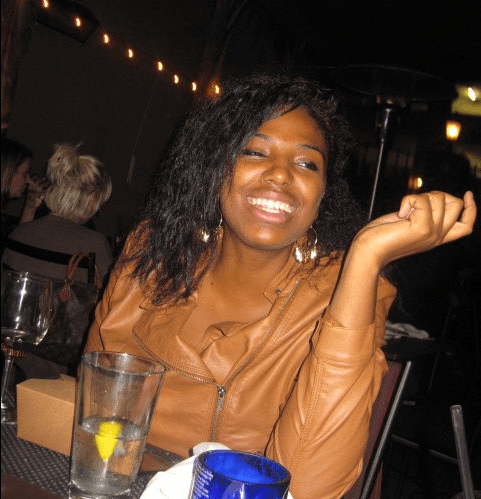 That was until I got a relaxer when I was about 12 years old. I remember a friend of my Mommy’s saying how “beautiful” my hair would be relaxed. So we all took a trip to her hairdresser to give me a relaxer. I had no earthly idea how to do my own hair. I only remember loving how long it was. And honestly it stayed that way relaxed as well. Ever so often Mommy would give me a “touch-up” by applying relaxer to the roots that had grown out. Curly hair was not really “in” so although my hair grew in curly, combing it out to blow dry and braid or straighten it were just…well, what you did. I remember VERY vividly the day my Mommy quit her hair styling job (of which I was the sole client). LOL! I was a Freshman in high school and although she loved doing my hair it was time I took care of myself. She asked me to start paying more attention to how she was styling my bra-strap length hair during those last days. But looking and doing are two different things. When she nudged me out of the nest….this is what ensued.LOL! I had noooo idea how to do my own hair. I barely knew how to wash it! 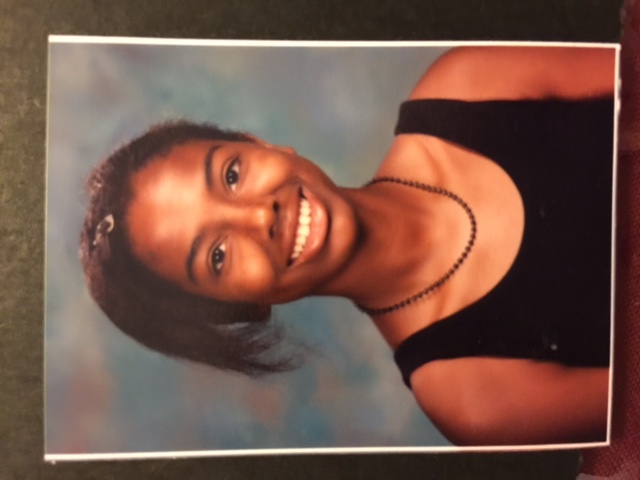 I was 13 years old as a freshman in high school and was adjusting to a new home, a new city and and new school. I did want to look nice but all I really knew to do was throw water on my relaxed/texlaxed hair and skip of to school. It started to break off and become dry and brittle. Instead of trying to figure it all out I wore a high bun (not a top not, those are cute) throughout the rest of my high school years. Mommy would still give me touch-ups up until I was 17. But I learned how to straighten my hair and couldn’t really see a difference, so I opted out one day during that 17th year of getting that touch up and never looked back. Not really. I wish I could say that my decision to “return natural” was well-thought out part of a self-discovery path. Yeah no, it wasn’t. I just mastered the art of a flat-iron. And boy did I flat-iron! Being told “you look best with straight hair” stuck with me. I just thought okay, straight hair is for me. I quickly forgot what my natural hair looked like. It didn’t really matter because I always wanted to look “my best”. A big change came when I moved abroad to teach English in Sub-saharan Africa. Flat-ironing in San Diego was a breeze (pun intended) but the scoring heat in Northern Africa was no match for any miracle flat-iron. So I stopped. 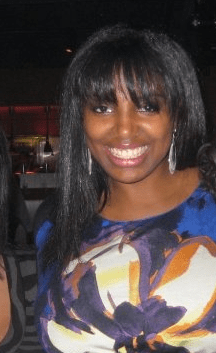 In 2009 I put the flat-iron down (for awhile) and starting discovery what this stuff growing from my head really looked like. My YouTube channel was born when I got serious about my transition and loved playing around with my hair! As you can tell my hair-itage has been one of true self-discovery. From my initial unintentional transition from a relaxer to my last transition from heat styling (heat damage really). If you’ve followed me for awhile you know some of this story. Isn’t it crazy how much we go through with our hair! 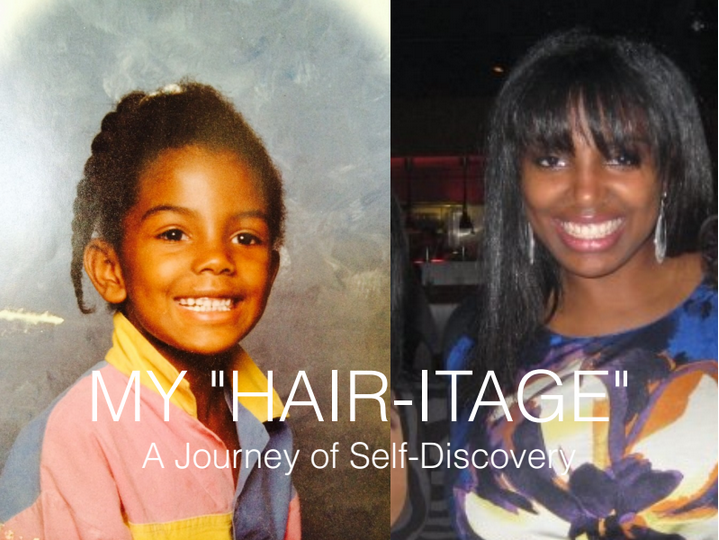 Think about your hair journey or hair-itage? For me, my hair has given me the ability to express myself in SO many ways. Recently, I cut and colored my hair into a short style and although it’s a lot less work, my hair is consistently parched. 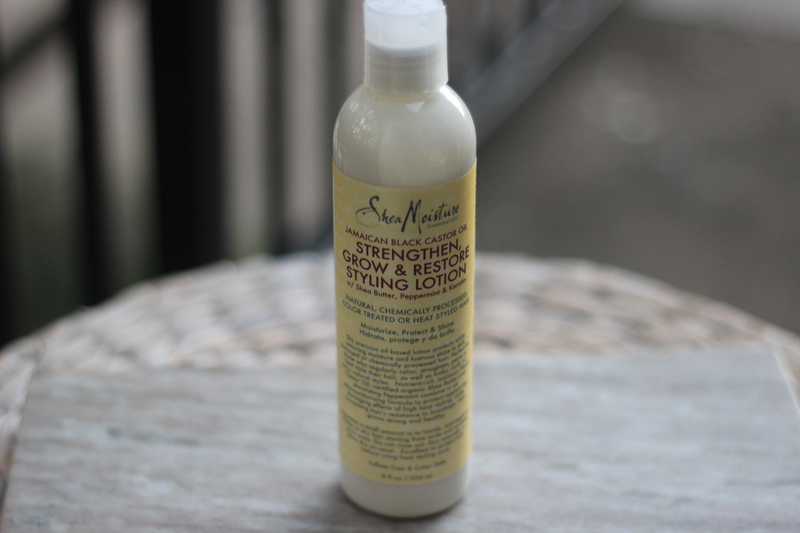 Naturally, I feed my hair with products from one of my favorite brands – Shea Moisture. 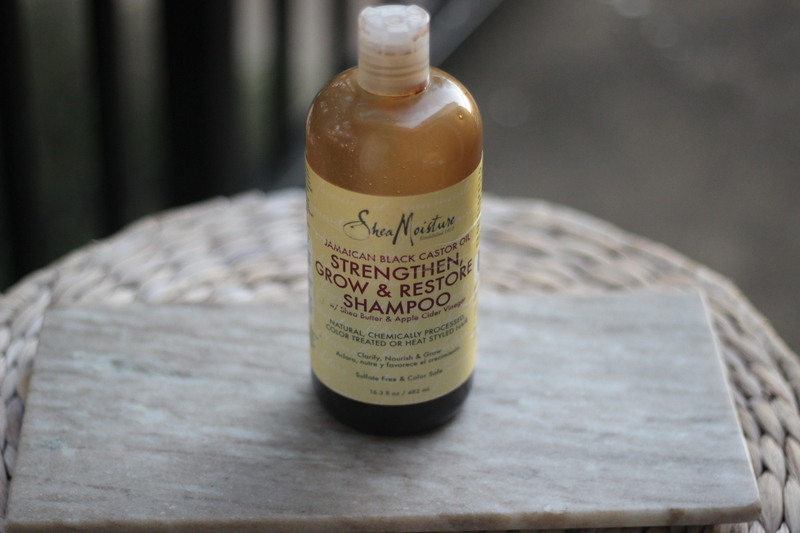 Their Jamaican Black Castor Oil Line is specifically formulated for chemically treated, heat styled, natural and transitioning, dry and brittle, damaged hair. Now I’m not saying my hair is totally damaged because I colored it! But ever since my initial color in September of 2014 I’ve used the Intensive Strengthening Masque from this line (that’s for just about a year) because it’s color-safe and AMAZINGLY moisturizing. 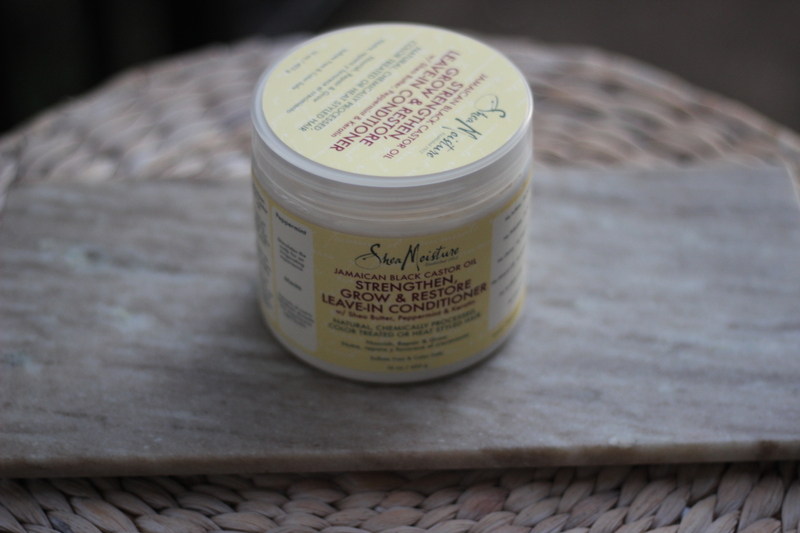 The JBCO locks in moisture and restore my curls backs to their springy bounciness. It’s been pretty difficult to find the other products from this line but I’ve got GREAT news! Target now carries this line! Let me explain how crucial this is! Moving to Dallas from New Jersey at the end of last year, I expected warmer weather. But what I experienced this summer was some crazy 100 degree weather and my hair stared down at me like, “what exactly do you plan to do about this?” With this line available at my local Target store I can spoil my curls from the beginning of my regimen using the Replenishing Shampoo all the way to my maintenance routine throughout the week with the Renewal Lotion.